(ISC)2 Members Enjoy 25% Off! Connect with over 400 security minded individuals! As a proven cybersecurity leader, you have invaluable insights to share. 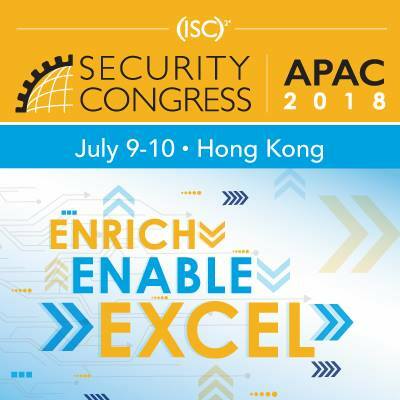 Let your voice be heard during the 13th (ISC)² Security Congress APAC on July 9-10, 2018 at the Conrad Hong Kong. Don’t miss your opportunity to address our highly engaged audience! Make a Lasting Impact. Share the Wealth of Knowledge. When you share knowledge, you get more than you give. Present at the (ISC)² Security Congress APAC 2018 and educate 400 of the brightest minds in cyber and information security. We invite speaker content that advances cybersecurity professionals, arming them with knowledge and tools to protect their organizations.